Dead & Company Announce Summer 2016 Tour! If you’re paying attention to the Grateful Dead blogosphere, then you know our good friend Grateful Dean Sottile called it for the Dead & Company Summer tour. Dates below. Tickets go on sale starting on Friday, February 12 at 10:00 a.m. at www.livenation.com** with presale tickets available beginningTuesday, February 9 at 10:00 a.m. Check http://www.deadandcompany.com/ for complete ticketing information. Dead & Company to Stream 11/7 MSG Show for Free! 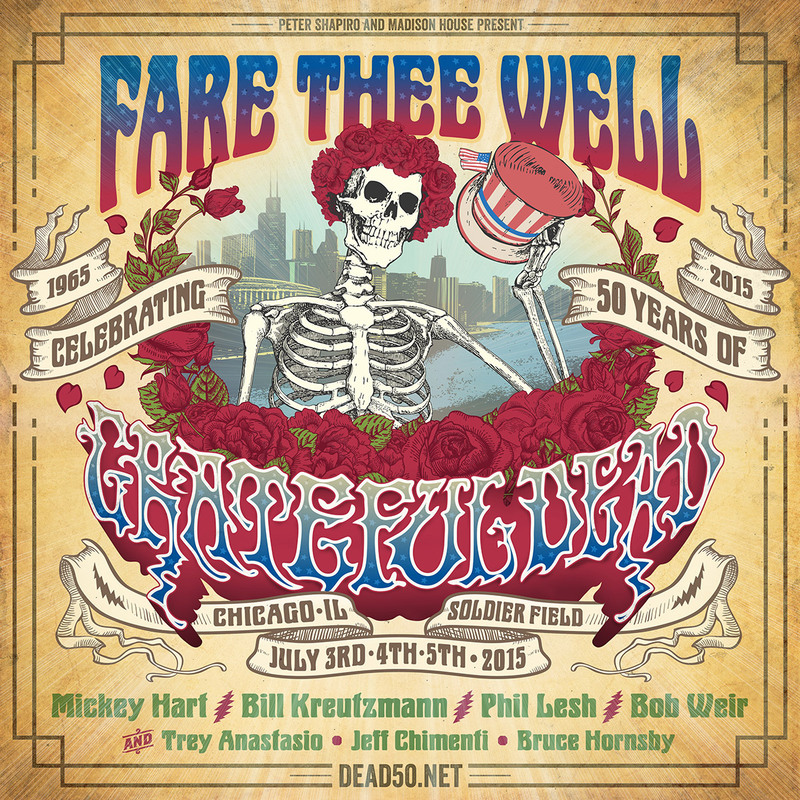 Today, The Grateful Dead announced 3 final shows to celebrate 50 years of music at Soldier Field in Chicago on July 3rd, 4th and 5th. Tickets go on sale via mail order on January 20th with various outlets following after that. See http://www.dead50.net/ for all the details. RT @GDTLP: Nice little AUD for todays #gdtlp. See you hilpies at 1!! !